English for competitive Exams - A random survey among Engineering and the Medical student says the following: Mathematics needs smartness, Physics need Imagination, Biology needs understanding & memory, Chemistry needs agility and English: Don’t Know, Don’t know & don’t know exactly. So how are you planning to prepare for the English portion which will be a part of your Entrance exam you are preparing for? Are you going to read those 10th and 11th English books? Or you are planning to revise all those purist’s grammar rules which you have never used in your language till yet. You must answer these questions before starting your preparations. In this article, we will provide you with some basic set of rules and guidelines related to English for competitive Exams, which if followed with full dedication, will certainly help the candidates to score efficiently in the English section. The guidelines given below are useful for any entrance exam which has an English Component be it BITSAT, Manipal Entrance Test, CAT, SAT etc. Read, Read and Read more. This suggestion is the most efficient and important one that you would help you to improve your vocabulary and reading skills. It will for sure help you in sections where you have to read long passages and answer complex questions out of it. Approach: Subscribe the hard copy of The HINDU on daily basis. No other newspaper is as good as The Hindu. Sit with a pen and underline every new word you will get in the articles. Now start reading The Hindu webpage articles and columnist part. There is a section “Know Your English.” Start Following it. In every article, you will get 2-3 new words. What are you supposed to do with new words: I’ll tell you later here. One Month Regular Reading: When you think you are getting comfortable with 3 words per article start reading The Newyorker. I’m going to tell you something. And remember don’t tell this to any of your competitors. If the paper you are preparing for is made by Indian Government then vocabulary must be prepared by reading Indian English newspaper only & if it by American (GRE, TOEFL etc.) then the same case is here also. So if you are preparing for UPSC, IBSP, SSC or similar then The HINDU will be enough but if you are going for SAT, GRE, TOEFL then you have to start reading The Newyorker but first start from The Hindu because the new words per articles will be more than 10. Trust me and just follow the guidelines. Increase your awareness & knowledge about various issues. Help you in scoring good marks in the long passage type questions. Gives you a good hands-on experience in correcting the sentences with grammatical errors. Word Power Made Easy: Yeah, Go and buy this book. 30% of the words in your entrance exam will be from this book. Approach: Let’s make it simple, you have to finish this book three times to get the complete power to use and understanding over the words of this book. Make Flash Cards: Tell this trick to everybody: Now what are you going to do with every new word you will face during this time period. Oh! You will remember it. Let’s not fool ourselves anymore. Approach: Cut down an A4 size paper into 16 equal parts. Each will be a flash card. Write every single word you face on one side of the card and write the meaning and details on the other. Make two boxes (Show box will work perfectly) one with blank flash cards & the other with words. Carry some of your flashcards everywhere, In school and tuitions show this to everybody and ask meanings. You will be the “Word Devil” soon. Not even a single word should be missed. Do not ignore words: Don’t ignore a single word whose meaning you don’t know. Start loving new words and appreciate their meaning even the slight differences between two synonyms. No two words in English mean the same thing. Every word in front of you can be there in your exam. Write the incidents and the places you use to remember and go back before sleeping. I know that you can remember every bit of details of it. Write it down, give a bit of fictional touch, and entertain your readers. Approach: Pick a bunch of flash cards from the box. Random words. Now your target is to write the story completely but the following words must be there. Two weekends: Two story. Make the incidents of your life immortal. Read 3 Novels per month and increase your reading speed. Start writing journals and make it available on the internet: The fear of doing mistakes publically will stop you to do any grammatical mistakes in your writings. Most of the candidates who are preparing for English for Competitive Exams are failed to cover all the topics before going to appear for the exam. So to help the students, here we have provided some of the relevant topics related to the General English asked in most of the competitive exams. 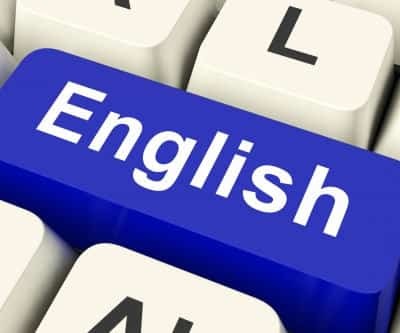 The topics that are going to cover in General English are like Articles, Prefix, Suffix, Nouns, Adjectives, Gerunds, Tense Identify the Errors, Odd Words, complete the Sentences, correct the sentences, jumbled words, synonyms, antonyms, Homophones, Plural Forms, Prepositions, Sentence Pattern, Tag Questions, etc. So we suggest all the aspirants that they need to refer these topics of General English to score excellent marks in any competitive exam. Here we are providing rules for spotting errors in English for competitive exams. Spotting the Errors is one of the most important topics in any competitive Exams. (1) If two singular nouns refer to the same person/ thing, then the Verb must be Singular. Wrong - The Secretary and Principal are coming. (2) When the subjects joined by ‘or/ nor’ are of different numbers, then the verb must be plural, and the Plural Subject must be placed next to the Verb. Wrong - Neither the Assistant Masters nor the Headmaster was present. Right - Neither the Headmaster nor the Assistant Masters were present. Wrong - He advised to do it by me. Right - He advised me to do it. But if these are used in Passive Voice, then they are followed by To +V. Example: She was permitted to go with him. (4) Know is followed by how/ where/when/why and Infinitive. Wrong - I know to write a letter. Right - I know how to write a letter. (5) Two or more singular subjects connected by and usually take a verb in the plural. Wrong - Hari & Ram is here. The candidates who are preparing for a competitive exam, English is one of the toughest parts for many of them. This is because may b they don’t know the basic and fundamental concepts of English grammar. Here we have mentioned some of the important books recommended by the subject experts to prepare for the English for competitive exams.